Sometimes having a fancy meal at home gives us a kick! Chicken Stroganoff Supreme is one such dish. 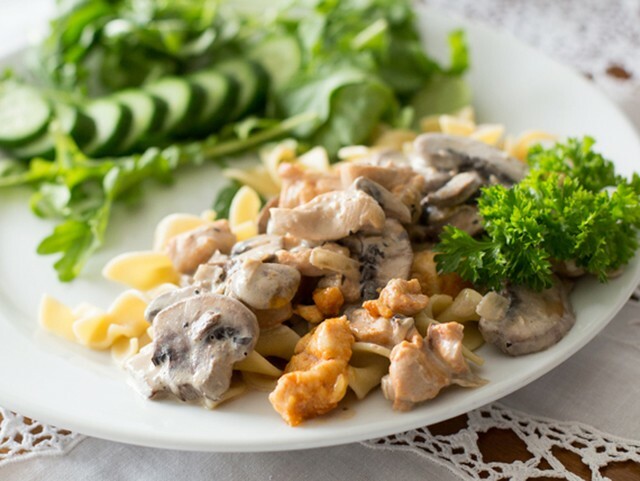 A dish originating from 19th century Russia, Chicken Stroganoff was made with simple ingredients of chicken and sour cream, sometimes accompanied with mushrooms. Stroganoff, named after the Russian Elites Stroganov, is usually made with Beef. But in countries like ours where Chicken is the most preferred protein, it is easier to make this dish using this ingredient. You can also check out our Beef version in this link here. The original stroganoff was made using simple ingredients available during the harsh Russian winters. 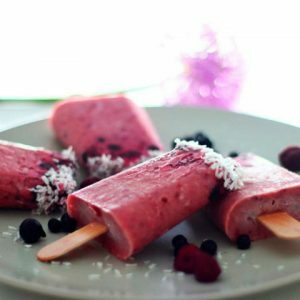 What we have here is a restaurant style, eclectic dish, that will spruce up some boring night meals. In this Chicken Stroganoff Supreme recipe, we have used a demi glace sauce, which is nothing but chicken or beef stock reduced to half, filtered and mixed with a bit of wine. If you don’t have one on hand, you can always make a substitute with Chicken/beef stock, reduced to half & mix a spoon on arrow root powder or corn starch to make it thicken, while stirring continuously. Chicken Stroganoff Supreme is served with Herb Rice. Sometimes having a fancy meal at home gives us a kick! Chicken Stroganoff Supreme is one such dish. Marinate the chicken for at least 30 minutes in Worcestershire sauce, salt & pepper. In a pan, heat half the butter and saute the onion and half the minced garlic, tea and chicken until it is cooked. Add the capsicum, red wine and continue sauteing for 1-2 more minutes. Once chicken is cooked, add the demiglace and bring it to a boil. Turn it off once the sauce thickens and starts to look creamy. Serve on bed of herb rice. Cook the rice until the grains are well cooked & separated. On a low flame, in a pan, add the remaining butter, saute the garlic and dried herbs until you get an aroma. Mix the rice into this. Spread this on a plate & pour the stroganoff on this. 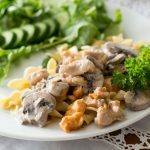 Feel free to comment or share your thoughts on this Chicken Stroganoff Supreme Recipe from Awesome Cuisine.